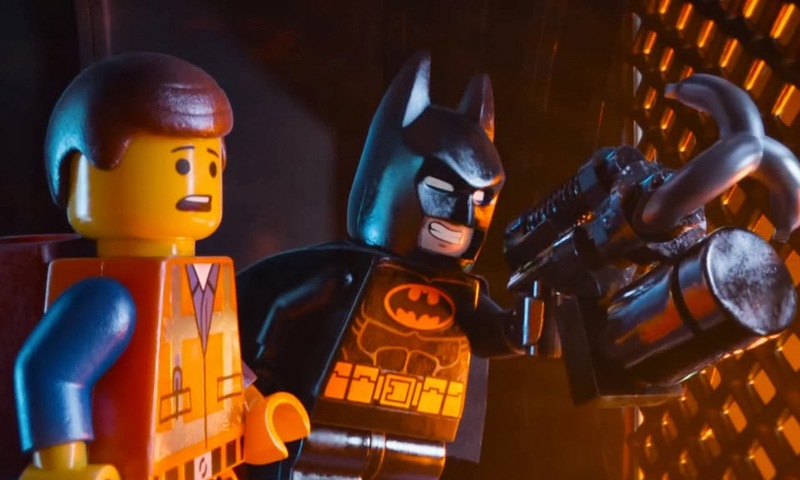 In The Lego Movie, Phil Lord and Christopher Miller have achieved a minor cinematic miracle, creating both a genuinely wonderful comedy adventure for people of all ages, and crafting what may well be the best and most effective commercial ever made. They take a clear and reasonable sales pitch – that all people have the potential for creativity, and that Legos are an awesome way to express one’s imagination – and realize it in a such a deliriously silly, wildly inventive, and profoundly entertaining package that one feels no guilt whatsoever while watching. The Lego Movie is an excellent film, first and foremost, with all commercial aspirations stemming organically from passionate storytelling and vivid characterization. That both children and adults alike are liable to exit the theatre wanting to purchase as many Lego products as they can get their hands on isn’t a fact that should be ignored, but neither is it one audiences need to feel disgusted about. Most blockbuster movies, especially those aimed at children, are trying to sell viewers something beyond the price of admission; few offer as many cinematic riches in return, or are as earnest and well-articulated in their salesmanship, and that makes The Lego Movie a piece of commercial art worth celebrating. Of course, when it comes to commerce, Lego is a brand unlike anything else, and it isn’t hard to see where Miller and Lord found the inspiration to create such an immensely sincere piece of product promotion. No matter how much money they make take out of parents’ pockets, Legos give children something truly special, and anyone who has been a child, and been fortunate enough to have the toys in their life, can attest to this fact. Legos were a huge part of my childhood, crucial not just to playtime, but to the development of my own personal sense of creativity. I constantly exercised telling stories by playing with whatever sets and characters I had lying around, usually with my brother or other friends, and the first movies I ever made were all created using Legos – and I was obviously not alone in this. Those feelings of endless imaginative potential are universal to anyone who has ever played with Legos, in any era, and it is clear Miller and Lord, like many of us, hold a very special place in their hearts for these silly plastic blocks. It would be easy to look at what The Lego Movie has to say, and how forcefully it says it, and dismiss the message as crass, overblown marketing, and while the commercial element is absolutely undeniable, I think it is equally clear that Miller, Lord, and every single person who worked on this movie truly believes in what the film has to say about the power of imagination and the lure of Lego bricks. It isn’t that far removed from the central thesis of the Toy Story series, actually, and I feel the same warm, genuine enthusiasm for the connection between kids and their toys in The Lego Movie as I do in those films. The difference is that The Lego Movie is built around an actual, pre-existing brand, which inherently gives it a more overtly commercial tone (not that Toy Story didn’t drive its own merchandise just as heavily). But when said brand fosters as much passion and wonder as Legos always have, is there really anything wrong with that? I absolutely love the story the film tells. Even before Miller and Lord play their full hand in the third act, revealing this to be an even more reflexive work than it seems at the start, The Lego Movie very consciously feels like the kind of narrative one would create while playing with Legos, and there are very few films that capture that childlike sense of zany narrative freedom as well this one. The story’s background mythology – the evil Lord Business (Will Ferrell) commands the Lego Universe with the power of the mysterious ‘Kragle,’ which can only be stopped by the mythical ‘piece of resistance,’ the finder of which shall be revealed as the ‘Special’ one – is a delightfully over-the-top send-up of MacGuffin-based storytelling, but it also creates some very real stakes that allow the action to have weight, even as the film is careful to never take itself too seriously. Protagonist Emmett (Chris Pratt) is a normal Lego construction worker, living in a city where everybody follows the instructions – quite literally, with step-by-step commands similar to what one finds in a Lego set – and believes themselves happy, without ever having original thoughts or honest emotions. There is obviously a lot of thematic resonance to those ideas – the difference between following the instructions blindly and forging a path for oneself – and it is something the film never loses sight of, as Emmett’s adventure, after he finds the Piece of Resistance and is declared ‘the Special’ by all the ‘Master Builders’ of the Lego world, forces him to start using his imagination for the first time in his life. It’s a theme Miller and Lord take seriously, and while I would not necessarily say the basic ideas of the film become any deeper or more revelatory from what we are presented at the start – this is a movie about personal expression and creative awakening, and that is never once hidden or played subtly – there is a point in the third act where those ideas are presented in a new, much more intensely personal light, and without spoiling too much, it’s a left-turn I quite frankly resisted at first, thinking the twist both too obvious and too much of a leap for the story to take. But Miller and Lord ultimately won me over, and it is the earnestness with which they approach the subject matter that makes all the difference in the word. A lot of what happens in the final act could so easily have fallen on the wrong side of the art/commerce divide the film so deftly walks, but the film seems so genuine in its belief that Legos do have the power to embolden people’s creativity, to bring people and families closer together while simultaneously fostering individuality, that I cannot help but find it all immensely touching, more and more so the longer I spend thinking about it. As gloriously silly as much of The Lego Movie is, it has a strong beating heart, and it’s the kind of thoughtful, dynamic thematic core that will mean something to children just as much as it does to adults. And this is, indeed, a profoundly silly film, in the absolute best way possible. Lego as a brand has fostered its own unique comic voice over the last decade or so, especially in the ever popular video game series, and it’s a good match for the kind of character-based zaniness Miller and Lord have proven themselves so adept at in the past. The Lego Movie is just absurdly dense with jokes, all of them extremely clever and effective, and what I really love about the film’s humor is just how many different kinds of jokes there are. You have your basic puns and wordplay, which is consistently good for a chuckle, but then there are all the visual gags rooted in the nature of Legos themselves, with each frame packed to the gills with details and actions that could cause the viewer to burst out laughing at any given moment. It’s the character-based humor that drives the majority of the film’s laughs, though, and that is a testament to the absolutely spectacular job Miller and Lord have done with their animated ensemble. 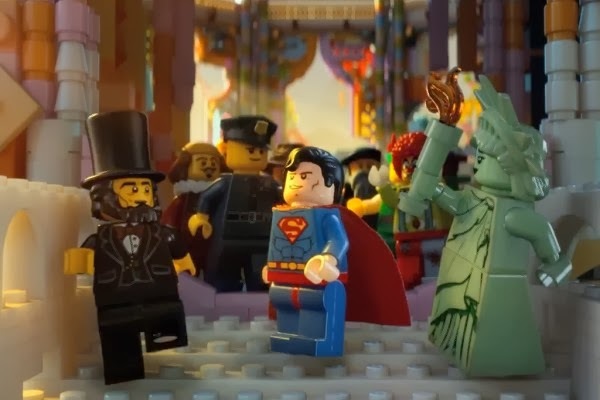 One of the benefits of making a Lego movie is the nearly unrestrained access to popular licensed characters, and while Miller and Lord make expert use of pop-culture icons like Superman, Green Lantern, Wonder Woman, Gandalf, Dumbledore, and even real-world figures like Abraham Lincoln or Shaquille O’Neal, they never overplay or over-rely on familiar faces. Every licensed character gets at least one terrific, pitch-perfect gag, but apart from Will Arnett’s Lego Batman, who serves as a central protagonist – and absolutely deserves to, as this is one of the great pop-culture character parodies of modern times – these characters are used sparingly, and the restraint not only keeps everything feeling fresh, but puts the weight exactly where it needs to be: On the ensemble of original characters who represent the film’s greatest creative achievement. Striking a great balance between pathos, ineptitude, and hilariously peculiar heroism, Emmett is a wonderful creation, voiced to absolute perfection by an eager and endearing Chris Pratt, and every member of the supporting cast is equally compelling. Elizabeth Banks’ Wyldstyle is a stock ‘strong woman/love interest’ character written and performed to surprisingly fresh effect, Morgan Freeman’s Vitruvius is an excellent satire of both the wise wizard and Morgan Freeman archetypes, and I could never say enough good things about the comedic genius that is Liam Neeson’s delightfully intense ‘Bad Cop’ henchman. Then there are the characters who exist almost entirely for comedy, like Alison Brie’s Uni-Kitty or Nick Offerman’s Metal Beard, each of whom constantly threaten to steal the show. 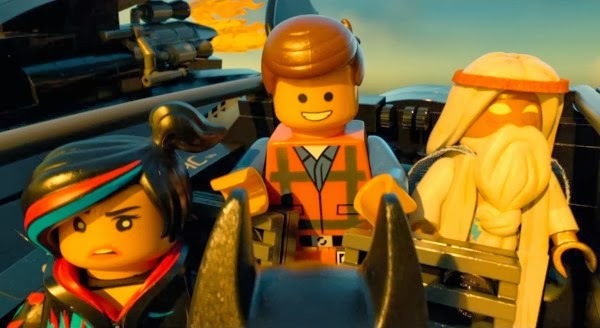 The Lego Movie is positively bursting with characters we love to follow and laugh with, and that is the single most important factor in the film’s creative success, the number one element among many that makes this so much more than just a crass piece of marketing. And in an age where CGI animation budgets are skyrocketing with increasingly dull visual impact, The Lego Movie – made for a relatively limited $60 million – is more aesthetically impressive than any American animated film I have seen in years. As previously stated, I used to spend an awful lot of time as a kid creating Lego movies of my own, and the absolute highest praise I can lend Miller and Lord’s Lego Movie is that looks like I always dreamed my Lego pictures would in my head. Every set is big, epic, and inventive, each frame bursting with seemingly endless detail, and yet it all looks entirely photorealistic, as if each image were crafted by hand, with real Lego bricks, every step of the way. Aside from giving characters facial expressions, which Lego films and games have been doing for years, Miller and Lord never break the ‘rules’ of Legos, with every visual component – right on down to the sky, sun, or most impressively, the water – looking as if it were constructed from an endless supply of actual Legos. That floors me, and it isn’t just the staggering level of photorealism required from the animation, capturing the actual sheen, texture, and lighting of plastic, that had my jaw perpetually unfastened. The entire art direction, the conception of each set, sequence, and atmosphere, excels due to truly limitless creativity. It certainly isn’t easy to make a beautiful image from scratch, but coming up with visually breathtaking and compelling cinematic images while constraining oneself to the natural limitations of Legos? That seems like one hell of a challenge, and it is one Miller and Lord rise to spectacularly. Children of the world are lucky to have this film available to them. I can only imagine how much I would have lost my mind for The Lego Movie when I was 10 years old – I very nearly did as an adult, because few major Hollywood releases provide this much fun, creativity, and heart in one incredibly unique package. And yes, one of the overwhelming feelings I carried with me from the experience was the urge to go buy a giant box of Legos and play with them for hours. I should, by all rights, feel uncomfortable with that, and yet The Lego Movie is so good, such a clear distillation and expression of both the product’s appeal and the wondrous nature of childhood creativity, that I cannot begrudge Lego for launching such an effective raid on the wallet of the American parent. In truth, they’ve earned it, and The Lego Movie is a beautifully infectious victory lap.